This is a unique opportunity to acquire a very special vehicle. Finished in the very rare and highly desirable combination of Mauritius Blue paintwork with biscuit (cream) leather interior, this top specification XM has only one owner from new – suspension guru Dr. Alex Moulton, inventor of Hydrolastic and Hydragas suspensions used on BMC/Rover/MG cars from 1962 until 2002. 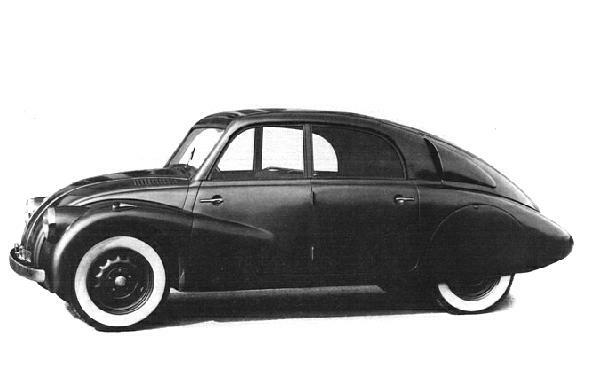 This XM, as with all UK models, has the oleo-pneumatic Hydractive 3 suspension system and was much prized by Dr. Moulton for its outstanding ride and comfort (much superior, in his opinion, to the Citroën C6). Purchased from Broad’s of Chalfont in August 1998, this car has a full Citroën Main Dealer (Islington in Trowbridge) service history up to 64,000 miles/2006. The 64,000 mile service included an LHM and coolant change. As is to be expected, spheres have been changed regularly. It is now at 70,000 miles and Islington Citroen have just replaced the cambelts and the water pump. The interior is clean and condition reflects the low mileage. As is common, the cover over the immobiliser keypad is broken. The catch on the back of the centre armrest has a glued repair. The electric adjustment of the armrest still functions, as do the notorious dashboard LCD displays. The Exclusive specification includes heated seats front and rear, electric sunroof and air-conditioning (climate control – all functions work on the panel but the air-con itself has not been tested recently). There is a CD changer installed under the front passenger seat. The combination of the 3 litre 24 valve V6 engine and four speed ‘auto-adaptive’ gearbox results in a very smooth, quiet drive – much more refined than a diesel – and, despite its performance, it is surprisingly economical with 30mpg being possible on a run. Big, smooth, petrol engines like this have now been taxed out of existence, but this car falls within the old ‘standard’ VED bracket (2009/10 is £190). The tyres are Michelins – three Pilot Primacys and one Energy. As can be seen below, there is a scuff on the bumper (n/s/f) and also a small dent in that wing (no paintwork damage). The rear legroom in the XM is exemplary – Dr. Moulton was often driven in this car by his professional driver. The cream leather makes the interior much brighter than most XMs. This car is fitted with a (genuine Citroen) tow-bar and electrics, which has apparently been used once to tow a classic Mini. This is, of course, not a new car. It would benefit from some tlc from an enthusiast and, most of all, some use. The history file is extensive and this car has only been serviced and maintained by Citroen dealers. MoT runs until 8 December 2010. The asking price is £4000. Please contact Dan Farrell at Moulton Bicycles if you are interested, require further information or would like to view the car. Telephone +44 (0)7825 772809 or, better still, email dan@moultonbicycles.co.uk. The car that changed its shape… a lesson that could be learned? A nice car… However, as the article states, you really have to watch out for the digital dashboard when buying a used Citroen or Renault car. I know someone who had to spend to £350 to replace one that was only 4 years old! Building big comfy executive cars is something that Citroen has always done well, despite the rest of the world not appreciating it. 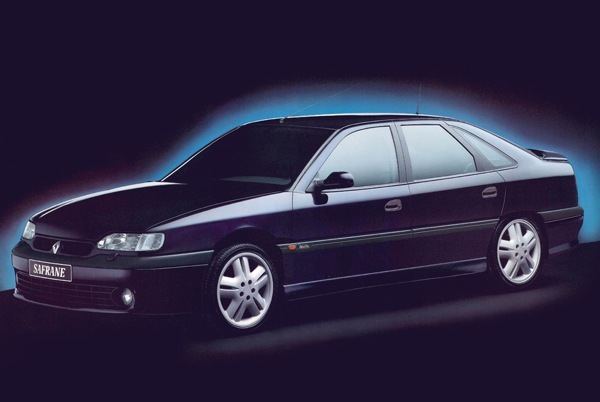 The XM was always something of a forgotten member of the executive car segment outside of France in market territories dominated by a preference for badge snobbery than innovation or design flair. The XM, as with its predecessors, the DS and CX, not to mention the current C6, gives something rather refreshing and charming to the world of executive cars where interest usually comes in the form of either a high performance variant or an evocative trim-related moniker. XMs have a conventional dashboard with LCD supplementary displays – on S1 models these displays are pretty robust but, on the S2, the display was cost-reduced trading a wire ribbon and solder connections for a mylar ribbon connection with solder “glue”. The glue fails (it may even attack the solder) and the mylar detaches, causing failure of the LCD. There are various fixes, but it’s a shining example of the cost-cutting endemic to all cars of the era but particularly detrimental to the higher-end PSA models. £4000??? Really? That seems rather high. Has the Good Doctor not been flogging this for a while now? Ah, but not every XM has been owned by Dr. Moulton. Still £3000 more than I’d pay for such a car, though. Sorry but 4000 seems way over the top,no matter what the providence. The car’s an easy £2,500 normally – that interior, and the V6, rare combination indeed. The mileage is low too. The question is whether being owned by an engineer means it’s going to have been looked after to a much higher standard than other XMs; if it has been really cared for that £1500 premium is well worth it for avoiding expensive repair bills. Theres’a an XM on one of the classified sites with an asking price nearer £10K, and it’s just silver and black. It’s too bad that the suspension concepts of Dr. Moulton have not made their way into mainstream automobile production. There are similar ideas as the Citroen has utilized complex suspension with on-board pumps. As a mini owner, I regret that there are no longer hydrolastic displacers for reasonable prices as they have gone NLA and existing stocks are too expensive for most people to bother with. Economically it doesn’t make sense for the average mini owner to pay these prices to restore an old car. The worst part of this is the tooling was destroyed so no new displacers can be reproduced. Dr. Moulton’s hydragas suspension seems to be an improvement over hydrolastic but from what I’ve read, the spheres have to be changed as a maintenance item before they fail. Hydrolastic suspension provided a superior ride to the dry rubber cones in minis that harden with age and must be renewed to restore a reasonable ride. Imho the rubber suspension is a compromise compared to the hydrolastic. What is surprising is that no enterprising individual has taken the step to reproduce the old hydrolastic displacer. Surely the lack of return on investment precludes this ever becoming a reality. Nice car and that V6 is a lovely engine but the price looks far too high. Being owned by the great man Moulton doesn’t give it a price premium in my view. No wonder he’s been selling it for a while now. When you can get a 3.0 litre RXE safrane for less than £2k it seems like this one is destined to stay unsold – people are more scared of the XM than they are of practically any other car – simply because of the prices if it goes wrong. In 20 years time if its still around the Moulton connection might be worth something – and his prototype cars that he used will command a premium because of what they are and who owned them… but this, while a rare and tidy example will be seen by most as a money sink sadly, and with some reason. Rubbish Jemma – the last Safrane I had dealings with was abandoned on the side of a mountain in Andora whilst politely bleating on that everything had failed through its synthesised voice. My XM meerly (repeatedly) flashed its dot matrix that imminent break failure was about to occur. Big, old, powerful petrol car? you’ve only gotta look at Saab 9000’s of the same age to realise the demand for such cars is rather smaller then the examples available. You may have seen an XM go for £2500, but I bet it was a diesel estate? Unfortunately, the bits of this car that make it so nice are also the parts that drive it’s price down. Bit over the top mate.. I know I raised the price issue.. but don’t be rude about it! Interested to see your comment that the XM digital information display unit can be fixed. My electronics expert opened mine up to find a component burnt out and impossible to identify. Have you got info on how to repair the units? Re-reading this old post, the car seemed cheap to me at the time. Try to find a well cared for V6 with new cambelts for the same kind of money now. Or – try to find one at all that has not starship mileage!